I was standing in the kitchen one afternoon, drying dishes, watching Oprah’s afternoon television show while I listened for my youngest to come downstairs and ask where his tennis shoes were for the millionth time. I was a stay-at-home-mom-who-freelanced, happy with my job(s), happy with where I was, happy with everything – or so I thought. Until, that is, Oprah stood up that day from her yellow studio couch and asked her viewing audience to imagine, for a second, what they would be if they could be anything. My dishtowel hardly missed a swipe. “A novelist,” I said into the quiet kitchen, putting a glass away into the cupboard. But then I sort of froze: Where had that come from? My dishtowel dropped to my side. I turned toward the TV and stared. I stared at Oprah. I stared at the other audience members, who looked similarly stunned. It sounds sort of silly that a television show – and one line out of it, at that – could change my life, but that show did. That line did. Because I wondered, then, for the next several hours, so why aren’t I? The next day, I went to the book store and scoured the reference section for books on how to write novels, and thus began my long (and still ongoing) education to do the very thing I always dreamed of doing. I chose romance novels pretty quickly. Although I didn’t read romance novels as a teen (horror was my genre of choice then), and had been raised on a strict diet of literary classics at UCLA, I knew one thing loud and true: I loved the concept of romance, both in writing and in real life. I myself was always in love, and I loved hearing about how people fell in love, and stayed in love, and fell out of love, and found love again. I always enjoyed the romantic elements of any books, even when I was a kid. I thrilled when Calvin held Meg’s hand in A Wrinkle in Time, or when Almanzo first paid attention to Laura Ingalls. I dog-eared all my Judy Blume books like any preteen girl did in the ‘70s. I pined like Meggie did in The Thorn Birds, and I sighed along with Florentino in Love in the Time of Cholera. I was in love with love. After selecting my first “how to” book, I walked in and out of the romance section about seven times, but didn’t know where to start. The only romance I’d ever read was a Danielle Steele book in about 1985, and I figured a lot had changed since then. So I went home and dove into the message boards. And the blogs. I can’t remember what I originally searched for, but eventually certain names kept popping up: Jenny Crusie, Susan Elizabeth Phillips, Suzanne Brockmann, Lisa Kleypas … Eventually, somehow, I decided on the Jenny Crusie. (I think someone mentioned “humor” and I thought that sounded like something I’d enjoy.) So I marched into my library and found Bet Me. I walked to the checkout counter. The librarian smiled when she saw the book. “This is SO GOOD,” she said. I shrugged noncommittally and told her I’d never read Jenny Crusie before. “Oh, you’ll be back,” she told me. I recall giving another shrug of skepticism. “I’ll set some aside,” she said with a knowing smile. Needless to say, I was back in two days. I snatched up every Crusie she stacked on the counter for me. I moved on to Susan Elizabeth Phillips. Then Suzanne Brockmann. Then bought all their backlists. Then some Nora Roberts, Laura Kinsdale, Lisa Kleypas, J.R. Ward, Mary Balogh, Diana Gabaldon, Eloisa James. … My bookshelves began overflowing with these writers I instantly fell in love with. Basically, I couldn’t get enough. I realized that my instinct was right – I’m thoroughly in love with love. I’m not one of those people who is bothered by the constant “happily ever after” – I cherish that. To me, it feels like walking up to random couples on a train and asking “How did you meet? How did you fall in love?” Sure, the story always ends the same, but the route to get there is as varied as snowflakes. And I believe in true love. I’m in it. And it’s all because Oprah pointed out to me, that one day, that you shouldn’t get rid of childhood dreams. 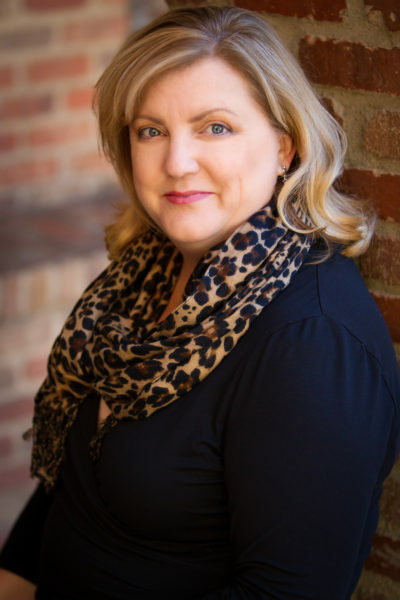 After graduating with an English degree from UCLA, Lauren launched a 23-year career as a nonfiction writer and editor -- writing more than 100 newspaper, magazine, and online articles on everything from the history of auto racing to the origins of Santa Claus. 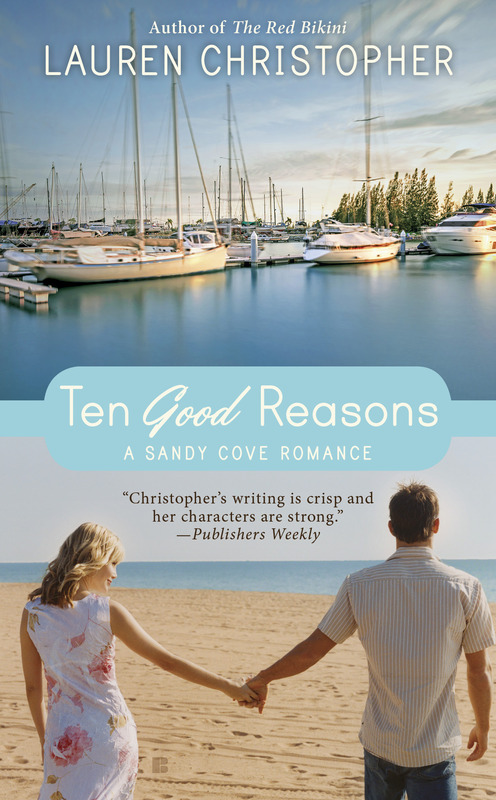 Lauren is the author of THE RED BIKINI (July 2014) and TEN GOOD REASONS (April 2015), both set in fictional "Sandy Cove." She lives in Southern California with her husband and three teenage children. Come chat with her on Facebook, Twitter, or her blog -- she loves to meet readers! Read the full Firebirds interview here (July 2014). Interview on the Kwana Writes blog – Friend and fellow writer K.M. Jackson and I talk about when I first knew I wanted to be a writer (hint: it was before I lost my first tooth) and what we like to see in a hero and heroine. Read the full Kwana Writes interview here (July 2014). Interview on the Harlequin Junkie blog — The Harlequin Junkie blog asked some fun questions! Like whether I have ever worn a red bikini myself (what do you think?) 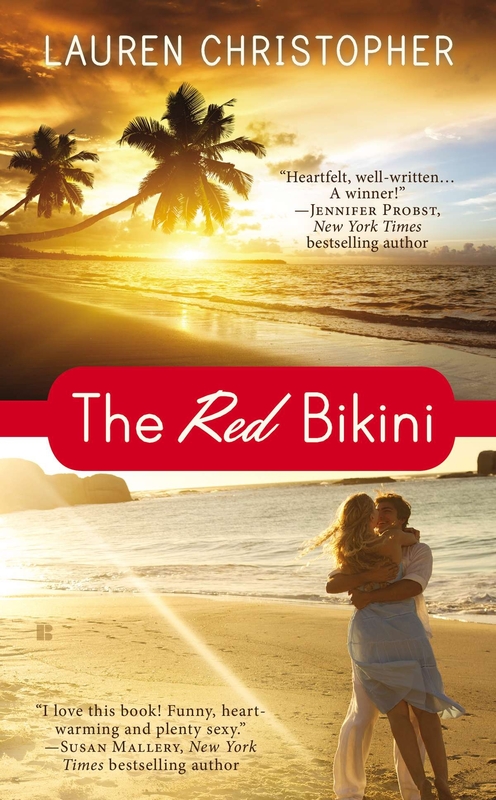 and what scene I'd use out of THE RED BIKINI to audition actors if my book was made into a movie! Here's what I said, along with some fun excerpts. Read the full Harlequin Junkie interview here (July 2014). Read the full Book Reading Gals interview here (July 2014).